A black bean patty with herbed Boursin cheese, onion, grilled radicchio and zesty pesto mayonnaise on a whole wheat bun. Combine all ingredients in a food processor and puree until smooth. Reserve refrigerated. Fold together all ingredients and shape into 10 patties. Reserve refrigerated. 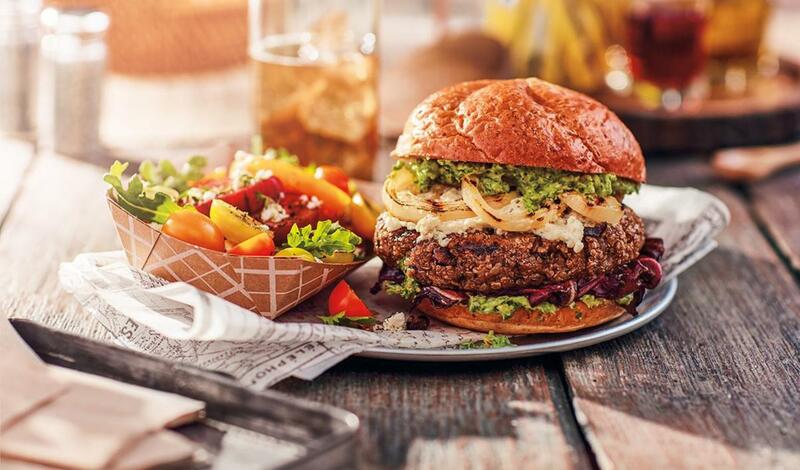 Grill burger patties to a minimum internal temperature of 70°C and top with herbed Boursin cheese. Spread Zesty Pesto Mayonnaise on both sides of the bun. Build burgers with remaining ingredients.